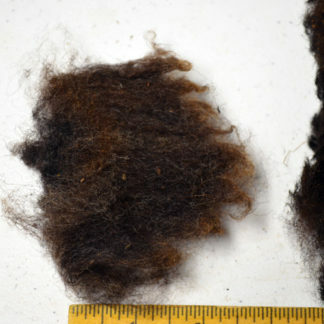 A very dense and down like fleece. 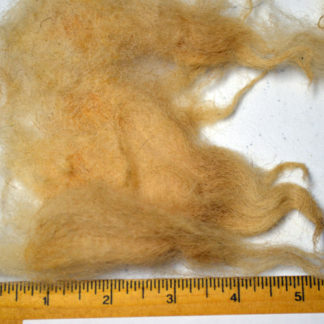 Torddu is white with black markings, this fleece is glorious. Quite clean, with only a few dirty tips, the fleece has some typical kemp and some lock length variation which is to be expected. 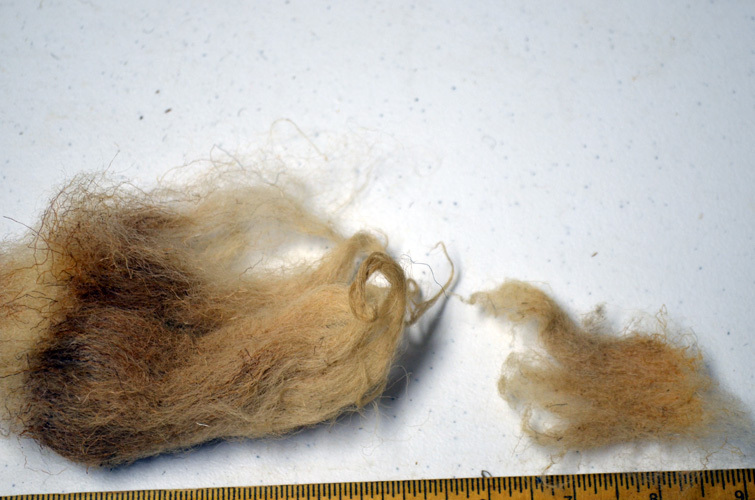 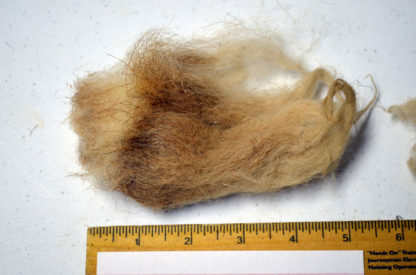 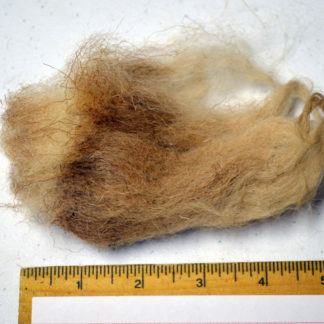 It does have a bit of shagginess to shed water so it appers to have the ends of a dual coated fleece – but is not.